Antalya Airport. AYT. LTAI. AYAT. Official site. Antalya Airport (Antalya Airport). Official site. Antalya International Airport is one of the largest air harbors of Turkey and is included in the rating of 15 largest airports in Europe by the volume of passengers served, which also proves the fact that according to the results of 2015, the total number of passengers served here was over 27,7 million people. 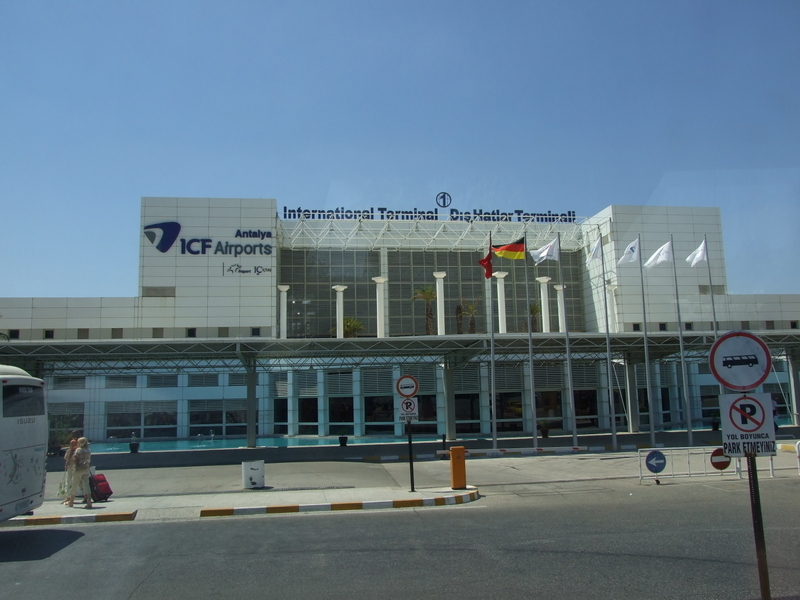 The construction of the Antalya International Airport began in 1996, and in a relatively short period of time, in just two years, the air harbor began to service flights. In 2009, the second terminal was commissioned at Antalya airport, which allowed the air harbor to serve a larger number of passengers. In 2011, Antalya International Airport became Europe's best air hub in the category 10-25 million served passengers. Asphalt runway, the length of 3400 meters. Due to this fact, the international air harbor of Turkey can accept civil aircraft of all types, and the presence of helipads on the territory of the air harbor also allows helicopters to be serviced. The hotel is not on the territory of Antalya International Airport, however, due to the fact that the air harbor is located in the city, there are no problems with access to hotels and temporary accommodation. How to get to Antalya airport? Antalya International Airport has excellent transport accessibility, which is due primarily to the fact. That the air harbor is located in the city. Passengers can get to Antalya airport by using taxi services, resorting to the use of city buses (No.600 and No.800), or by using a tram line. Antalya International Airport Mediterranean resort. GMT time zone (summer / winter): + 3 / + 2. Latitude geographical 36.9, 30.8 geographical longitude. The geographical location of the airport: on 13 kilometers towards the north-east of Antalya city center. The number of airport terminals: 2. City Airport Management Phone: + 902424447423. City Airport Help Phone: + 902423303600. Base airport are airlines: Atlasjet Airlines (Rusair Airlines), Borajet (Boradzhet), Corendon Airlines (Korendon Airlines), Free Bird Airlines (Free Bird Airlines), Pegasus Airlines (Pegasus Airlines), Sky Airlines (Sky Airlines), SunExpress (Sanekspress). Hello! 27.09.2015 3124 flew flight to Tyumen, and forgot the camera at the airport. Please respond to our request! We are very expensive these photos! Encyclopedia: HORIZONTAL STABILIZER et al. Tiger Shark. Specifications. A photo.